In 1936 the Spanish Army had two distinct forces: The Peninsular Army and the Army of Africa. The Peninsular Army had 8,851 officers and 112,228 men. 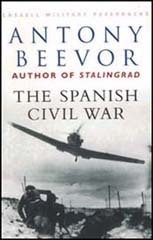 It was considered to be poorly trained force and on the outbreak of the Spanish Civil War over 40,000 men were on leave. It is estimated that 4,660 officers and 19,000 men joined the Nationalist forces in the struggle with the Republicans. Of the remaining 4,191 officers, around 2,000 supported the Popular Front government. The Army of Africa was considered to be superior to the Peninsular Army. It consisted of those Spanish Army units based in Morocco. In 1936 the force numbered 34,047 men and was composed of regular Spanish Army units and the Spanish Foreign Legion. On 19th July, 1936, General Francisco Francoassumed command of this force and organized its airlift to Spain. During the first two months of the war, around 10,500 men were flown across the Straits of Gibraltar by aircraft owned by the Luftwaffe. Others followed and the Army of Africa played an important role in gaining Nationalist control of South-Western Spain. There were also two internal paramilitary police forces: the Civil Guard and the Assault Guard. 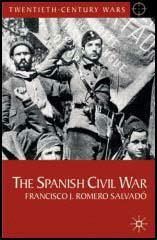 The Civil Guard, an elite paramilitary police force, had 69,000 men and officers. It is estimated that 42,000 joined the Nationalists and 27,000 remained with the Popular Front government. The Assault Guard had around 30,000 men. Of these, only 3,500 refused to join the Nationalist uprising. 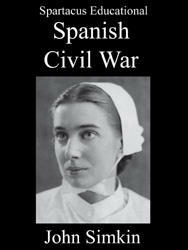 It is estimated that the Republican government retained the loyalty of about half the soldiers in the Spanish Army. However, only a small percentage of the officers refused to fight with the Nationalist Army. These were often members of the left-wing Union Militar Republican Antifascisca (UMRA). Soon after the outbreak of the Spanish Civil War the Republican Army was about one-third larger than the Nationalist Army. However, by the time the rest of the Army of Africa arrived in mainland Spain, the figures were close to equal. In the early stages of the war, members of the Falange Española, Carlists and other right-wing political parties joined the Nationalist Army. After the first few weeks of the war the Nationalist Army controlled in the north of Spain the provinces of Galicia, León, Navarre and large parts of Old Castile and Aragón. In the south they held Cádiz, Seville, Córdoba, Granada, Huelva and Cáceres. Overall, the Nationalists controlled about a third of the land in Spain. In the summer of 1936 General Emilio Mola calculated that the Nationalist Army had 100,000 in the northern sector and 60,000 in the south. On 26th August, 1936, the Nationalist authorities introduced conscription. This enabled them to recruit some 270,000 men during the next six months. The initial force consisted a Bomber Group of three squadrons of Ju-52 bombers; a Fighter Group with three squadrons of He-51 fighters; a Reconnaissance Group with two squadrons of He-99 and He-70 reconnaissance bombers; and a Seaplane Squadron of He-59 and He-60 floatplanes. General Hugo Sperrle was appointed commander of the Condor Legion in November 1936. His chief of staff was Wolfram von Richthofen, the cousin of the First World War flying ace, Manfred von Richthofen. Wilhelm von Thoma was placed in charge of all German ground troops in the war. The Condor Legion was initially equipped with around 100 aircraft and 5,136 men but by the end of the war over 19,000 Germans had fought alongside the Nationalist Army. In December 1936, Benito Mussolini also began to supply the Nationalists with men and equipment. This included 30,000 men from the Blue Shirts militia and 20,000 soldiers serving with the Italian Army. In March 1937 these men were incorporated into the Italian Corps (CTV). A new combined Nationalist general headquarters was established at Salamanca in October 1936. The following year in November 1937 General Francisco Francomoved it to Burgos. Franco also had a mobile headquarters, known as Terminus, that moved to enable senior officers to observe offensives or Nationalist areas under threat. The performance of the Republican Army gradually improved throughout the war but the lack of experienced junior officers meant that they were rarely able to take full advantage of breaking through Nationalist frontlines. In the spring of 1938 the Republicans were unable to block the Nationalist drive to the Mediterranean. Republican forces were also badly beaten in Aragon and Catalonia and at the beginning of February 1939, they began crossing into France. Members of the Republican Army that were captured were treated harshly. Volunteers, militia officers, political commissars, professional non-commissioned officers, and any soldier who was not a conscript were court-martialled for military rebellion. 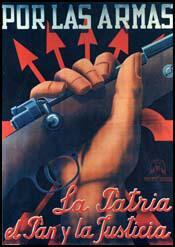 By the end of the Spanish Civil War the total mobilized force for the Nationalists was over 1,020,000. Of these, 70,000 were killed and 300,000 wounded. The number of men in the Nationalist Army who were wounded or died of their wounds, has never been published. (1) Ricardo Leon, speech in 1936. It is a Revolution - unique in History - carried out by youthful arms and intellect against an abject view of life. It is a holocaust of impatient youth dedicated to redeem the guilt of their elders and even the guilt of their own executioners. It is a Christian, apostolic revolution against the revolution of Lucifer. It is a war of Archangels against the powers of darkness. It is an Army of Salvation under the command of a young, pure Leader and his great captains. (2) Felix Olmedo, speech in 1938. Above all this is a religious war, the most religious of all Spanish wars, that is to say, every war there has ever been and every war to come, because the enemies we are fighting now are the greatest the Church has had or can ever have, for, when all is said and done, the Turks, the Moors, the Jews, and the Protestants, whom we had to fight against in former times, all had their religions. But today's enemies are worse than the demons themselves because not only do they have no religion, but they are trying to destroy all our foundations and those of moral and religious order by denying the existence of God. The rebels sowed desolation during the seven days in which the village was in their hands. There was not a single peasant's house in which some relation had not been murdered. The chiefs of the syndicate were marched on foot to the cemetery, where they were forced to dig their own graves. Whilst they were digging, the gentry of the Falange taunted them: "Don't you say that the earth is for those who labour in it? Now you see you are going to get your share. You can keep that piece of land over you until the Day of Judgement." Others of them said: "You needn't dig so deep; it is already deep enough for a dog's grave.' Or they would advise them to leave a little step where the head would lie, "so that they would be more comfortable." The peasants went on digging in silence. One of them tried to escape, but they caught him after wounding him in the leg. They compelled the unfortunate man to open a grave, telling him that it was for someone else, and when that was done they made him lie down at full length in it, "to see if it would hold a human body." When he had done so, they fired on him and without seeing if he had been killed, ordered the grave-digger to fill in the grave. He said to them: "He seems to be moving still." The Falangists pointed their revolvers at him and warned him to take care, because "many a man is hung by his tongue." (4) Elis Frånberg was born in the northern part of Sweden in 1904. In Spain Elis Frånberg fought with the Abraham Lincoln Battalion at Brunet and Belchite. These were the prisoners. The ones who came over and surrendered. They had been lined up. All the officers were placed in front of the line. And there were interpreters, but Merriman knew Spanish quite well. The officers had sworn an oath to the Republic. Their joining the rebel side was a crime. So they held a court martial. They were found guilty. One of my friends had seen it. He told us that one young boy had jumped out of line. The youth said: He had been promoted to lieutenant but just hadn't got his stripes yet. He was supposed to have got them the very same day. That boy was found guilty too. Then came the question of setting up an execution squad. Nobody was given the orders. They wanted volunteers, but no foreigners. Only Spaniards. They shot the prisoners from behind. I walked past the pile of dead. It was horrid. I thought about it for weeks afterwards. The officers were pomaded and dressed in fine clothes. All you could smell was pomade and perfumes.